Ukraine’s government and pro-Russian rebels have signed a cease-fire deal to end almost five months of fighting. The two sides, meeting in Belarusian capital Minsk, agreed to stop firing by 15:00 GMT. 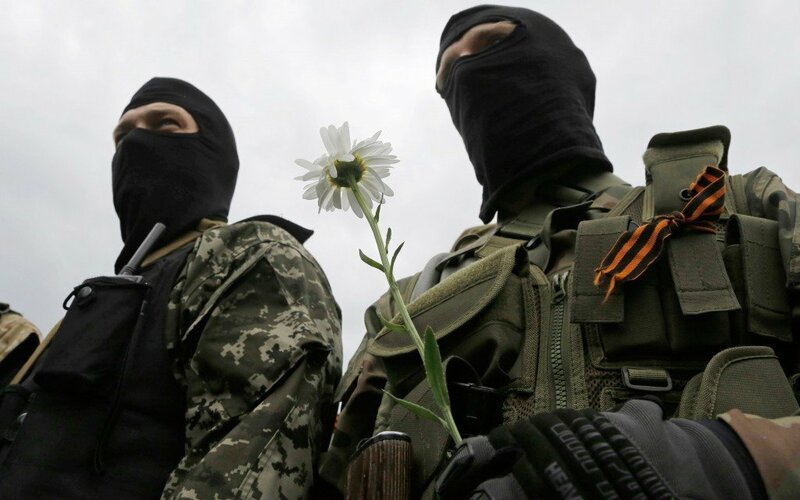 However, the rebels said the cease-fire had not changed their policy of advocating separation from Ukraine. Meanwhile, NATO has agreed to form a multi-national “spearhead” force capable of deploying within 48 hours. More than 2,600 people have died since rebels stormed several eastern cities. The takeover prompted a military operation by Ukrainian forces to retake the cities. The rebels, who had largely been pushed back towards their strongholds of Donetsk and Luhansk, made new advances in recent days. Fighting was continuing on Friday around Mariupol, a coastal city about 70 miles south of Donetsk. Earlier in the day, rebels appeared to be hitting Ukrainian forces hard, and large plumes of smoke could be seen as Ukrainian forces fired back with artillery and jet fire. The West accuses Russia of sending arms and troops to back the rebels in eastern Ukraine. But Russia denies the allegations. The talks in Minsk were brokered by the Organization for Security and Cooperation in Europe (OSCE), and involved a former Ukrainian president, leaders of the pro-Russian rebels, and a Russian delegate. Both sides agreed to stop fighting, and the OSCE said it would monitor the ceasefire. President Petro Poroshenko said the ceasefire was based on a 12-point peace plan that included the release of “hostages”, which he said would probably happen on Saturday. “It is very important that this ceasefire lasts long, and during this ceasefire we continue the political dialogue to bring peace and stability,” he said. Russian President Vladimir Putin had been told of the plan during a phone call, he added. NATO chief Anders Fogh Rasmussen said Russia’s actions in Ukraine had been a wake-up call for the alliance, and had spurred the formation of the rapid-reaction force. He welcomed the cease-fire, saying he hoped it “could be the start of a constructive political process”. Meanwhile, the EU and US are expected to announced enhanced sanctions on Russia, targeting banking, energy and defense sectors. German Chancellor Angela Merkel said the sanctions would contain a proviso that they could be suspended if Russia co-operated.